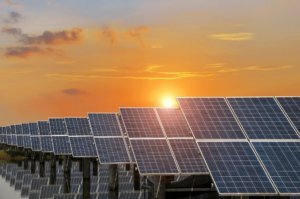 DTEK and China Machinery Engineering Corporation have signed a contract for the construction of a solar power plant with an installed capacity of 200 MW in Nikopol (Dnipropetrovsk region). DTEK Head Maksym Tymchenko told reporters the project cost is estimated at EUR230 million. The construction of the facility is to be completed by the end of this year. It is planned from March 2019 to start electricity supply to the energy system of Ukraine. “The 200 MW project is the beginning of the road. We have ambitious plans to build up to 1,000 MW of solar and wind power generation facilities by the end of 2019. The volume of investments for such projects will exceed EUR1 billion,” the DTEK head said. Tymchenko did not disclose all the details of securing the financing of the project for the construction of a solar power plant, but noted that the company will invest tens of millions of euros in the project, while Chinese company’s investments will be secured by the Export Credit Agency of China. The head of DTEK also said the company is also interested in CMEC technologies for reconstruction of coal-fired power units at thermal plants and their bringing to compliance with the EU emission standards.